One of the best ways to inject a bit of warmth into your bathroom is by choosing accessories and other items which are different from the standard white and black. Hudson Reed's Pistachio range is traditional in style and this mirror is just a small part of that range. Of course you don't have to buy the entire range, this colour and style of mirror would be perfect with a wide range of other bathroom suites and interior design styles. All the fixings you need to install your mirror are included in the pack. The most common place to install a mirror is above the sink, but a mirror in any location will help make a room look brighter and bigger. Hudson Reed is known for making quality items, and this mirror is no exception. 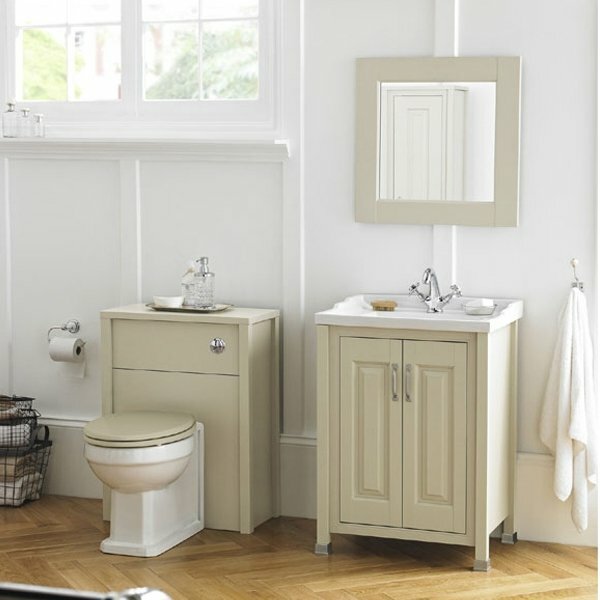 It's a great choice of mirror for any bathroom, en-suite or downstairs cloakroom. Check out the other great mirrors in the Hudson Reed range if the pistachio finish isn't to your taste one of the other finishes definitely will be.